The Big Wobble: Nearly a hundred turtles 3 tons of shrimp along with lobsters and crabs wash up dead due to red tide at La Paz, Baja California Sur, Mexico. Nearly a hundred turtles 3 tons of shrimp along with lobsters and crabs wash up dead due to red tide at La Paz, Baja California Sur, Mexico. 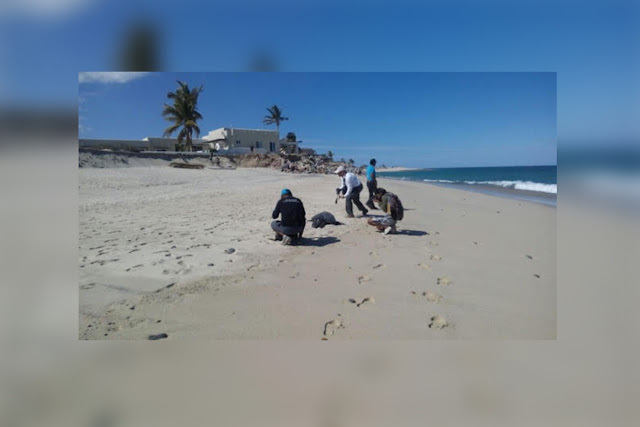 A red tide algae bloom is being blamed for the death of nearly a 100 turtles off the coast of La Paz, Baja California Sur, Mexico. The Federal Environmental Protection Agency (Profepa) reported that the specimens had no evidence of fishing gear or any human activity, saying that the cause of death was the Red Tide. 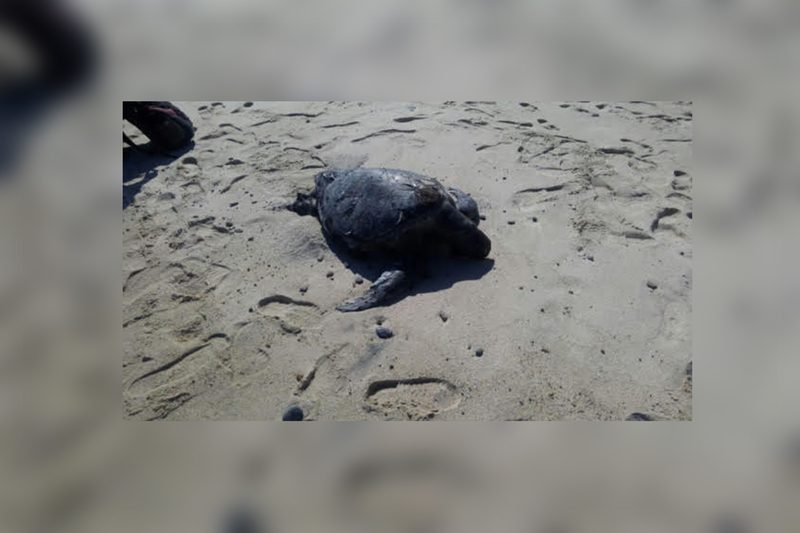 Each of the turtles found had been dead for more than 8 days, a further 3 tons of krill; a small shrimp like creature had also died. Dead lobsters and crabs had also been found in the area. Red tide is also dangerous for humans causing breathing problems and has been known to kill pets.